Newcastle Eagles have signed former BC Nokia guard Andre Jones following the departure of Ricky Taylor. 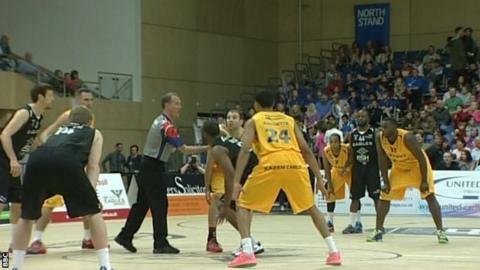 Taylor left the Eagles before Friday's victory against Sheffield Sharks having made just two appearances. Jones, 24, impressed with Finnish club BC Nokia during the 2013-14 season, having previously spent time with Erie Bay Hawks in the NBA-Development League. "I'm grateful for the opportunity they have given me," said Jones. The move for Jones restores player-coach Fab Flournoy's roster to a 10-strong unit. Eagles managing director Paul Blake commented: "We felt we needed to move quickly to fill the gap left by Ricky's departure but we have not just signed the first available player we looked at. "We've seen his videos, recommendations and Fab has spoken with Andre and we feel he will fit the team ethos we have."